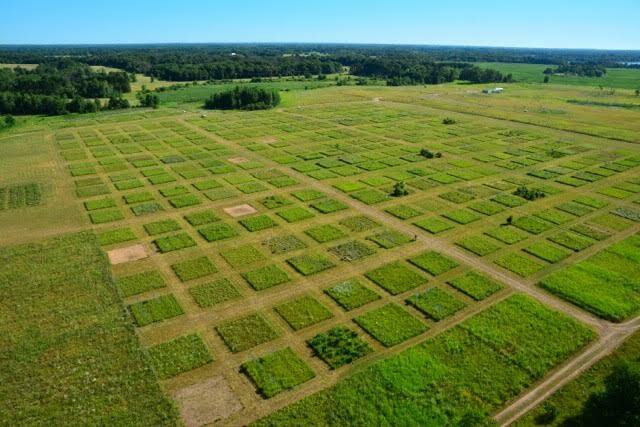 Come study ecology at the University of Minnesota's Cedar Creek Ecosystem Science Reserve, located only 35 miles north of the Twin Cities campus. Cedar Creek is one of the most famous and influential ecological research sites on Earth. It contains an exceptional diversity of plants and animals, partly because it is at the meeting point of the northern boreal forest, the eastern deciduous forest, and the western grasslands and savannas. 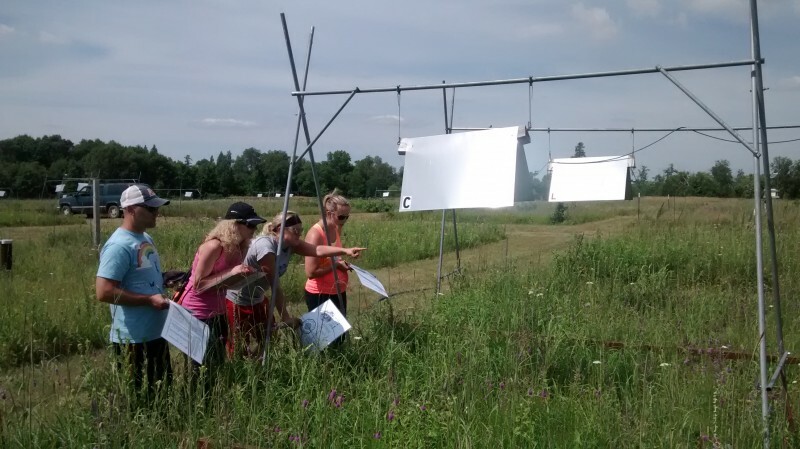 Here you will visit current experiments, including studies that test how biodiversity loss affects ecosystems and whether climate change will speed up or slow down, work with data from ongoing studies, and collaborate with other students to develop your own field ecology group project. Course credits are transferable to most colleges and universities. We welcome students from around the United States and the world. Instruction is in English. Students can commute to Cedar Creek each day or live on site during the course. Lodging space is limited, however, and must be reserved in advance. Please direct requests for lodging to Megan Lauzon (lauzo006@umn.edu). Undergraduate students should register for EEB 3407. Graduate students should register for EEB 5407. If you are a current University of Minnesota student, you may register online for May-Summer 2018 courses beginning March 1st, 2018 in accordance with the registration schedule. If you are not a current UMN student, then please follow the instructions for non-degree students on the One Stop website and send a copy of your transcript (unofficial is acceptable) to the course instructor, Dr. Forest Isbell ( ). Are you a graduate student working at Cedar Creek ESR? Are you interested in developing your skills as a mentor and sharing your research experience with motivated undergraduate students? Apply to join the Cedar Creek Graduate Fellows! 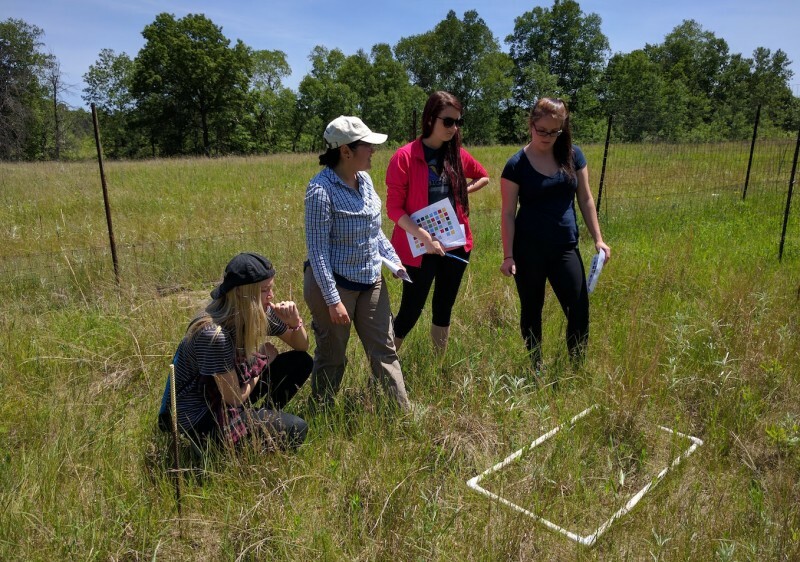 Cedar Creek Ecosystem Science Reserve provides partial summer support for graduate students who are conducting research at Cedar Creek and who would like to mentor undergraduate student researchers. In February of each year, applications are invited from Cedar Creek graduate student researchers at any stage of a graduate program. Funding is available for up to six Fellowships each summer. Preference will be given to applicants who plan to spend a considerable amount of time on-site at Cedar Creek as this helps build our research community. organize a research symposium at the end of the summer in which undergraduate student researchers present the findings of their independent research projects. We welcome groups from colleges across the Midwest to come visit our research experiments and learn about ecology here at its birthplace! Our field tours are particularly valuable for courses focusing on grasslands, conservation, field biology, and general ecology. Contact Caitlin (caitlin@umn.edu or 612-301-2602) to arrange a visit that meets your needs, group size and curricular focus. Field tours and presentations range in price from $100 - $300 depending on length and program details. Self-guided tours are also available for frequent visitors and carry a $100 site use fee.